What Makes a Bridge Utilities Installation Challenging? Aptus is the leader in bridge-attached utilities for a reason. We’ve spent decades developing the skills and experience necessary to tackle some of the most complicated installations and repairs in the industry. We’ve never met a bridge we couldn’t handle. That being said, some bridge utilities projects are far more challenging than others. Which factors ultimately complicate the installation of utilities on bridges? Some bridges are inherently easier to work on than others. Swing bridges, draw bridges, and floating bridges are always more difficult to access safely and reliably than traditional span bridges; tunnels also present unique sets of challenges. It’s important when working on bridges with limited access that bridge utility installers have the right equipment on-hand including specialized vehicles, lifts, and harnesses. Safety is always a priority on hard-to-access utility installs. Weather is, of course, always a complicating factor. Trying to install cabling 45’ above ground in 30 mph winds isn’t just difficult, it can be dangerous if not managed properly. A few of the weather conditions that make bridgework particularly perilous include heavy rain, ice or snow, strong winds, and the presence of high-salinity air. The common weather conditions near any given bridge play a huge role in which conduits and materials may actually be used in the installation itself. High Traffic bridges require a lot of coordination to work on safely and efficiently, and schedules for these types of installs are always tight. In many cases, installations have to be undertaken while some traffic still moves over the bridge, either in reduced lanes or on a separate level. Ecologically Sensitive Areas make it necessary to do a lot of prep-work. A surprisingly high number of bridges are protected by at least one preservation regulation regarding nesting birds, bats, or even marine life below. 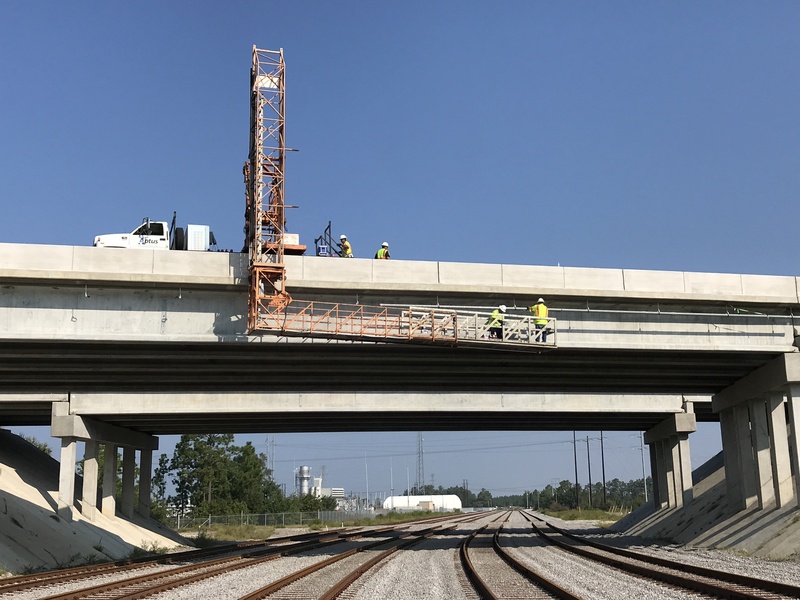 It’s important for a bridge installation team to work directly with the area’s oversight committee to ensure no wildlife is harmed during or after a bridge project is completed. Some bridges are ageing rapidly in place. Others were constructed without much thought to eventual utility applications, or for another purpose entirely. Bridges with a lot of cabling and/or crossbeams, such as railroad bridges, make access windows narrow. Retrofitting existing bridges with new or upgraded utility pipelines is always more complicated than working on a new bridge build. What are the “ideal” conditions for a bridge utilities install? New bridges with excellent access to long, straight bridge spans are the most straightforward. Whatever the conditions, Aptus is ready for the challenge. No matter how complex a bridge utilities installation project, the experienced team at Aptus has the resources and know-how to get it done. Are you ready to Go Aptus?